When I was small, I always very intrigued by the word ‘istoo’. What it meant exactly I wasn’t sure as in my Mamaiji’s home there were several different kinds of ‘istoo’ – a chicken ‘istoo’, a vegetable ‘istoo’ or even a whatever-is-leftover ‘istoo’. It took years for the tubelight to click and for me to realise that what Parsis mean by ‘istoo’ is actually the English word ‘stew’ which ofcourse encompasses a whole range of dishes and explains the several variations of istoo I had as a child. In my last post I spoke about the #BawiSasu ni Kaju Chicken which is a new feather in my belt thanks to my mother-in-law. My love for the Lagan Sara Istoo is also thanks to her. 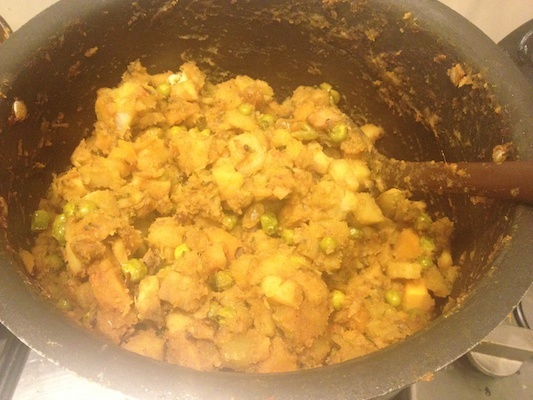 In my new home the ‘Istoo’ is a khatu-mithu combination of my favourite (and arguably any Parsis’) favourite vegetables – potatoes, sweet potatoes, green peas and carrots. I looked up Katy Dalal’s recipe to see how close my in-laws recipe was to the original istoo made at weddings and it came remarkably close – we were only missing the raisins and dry fruits which are a welcome addition ofcourse. 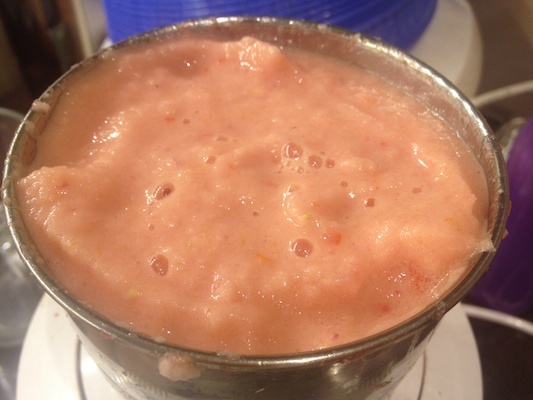 So without further ado, here’s my version of the Lagan Sara Istoo – ingredients below as always. 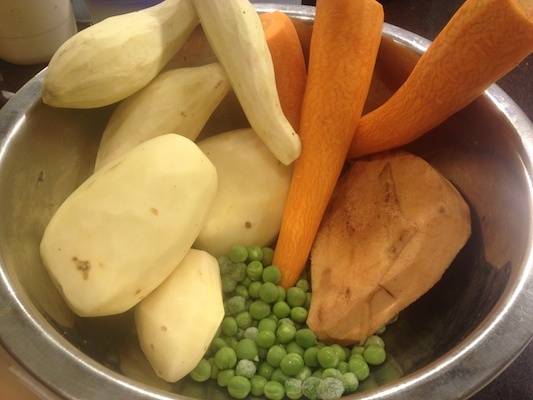 Start with peeling the potatoes, sweet potatoes, carrots, yam and green peas (if you are using fresh ones). 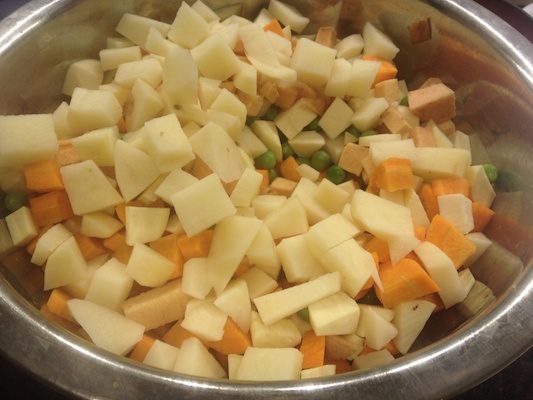 Once peeled, chop all of it into small pieces. While I make my istoo with only these vegetables, I know bawas who also add in french beans, double beans and lady fingers so if you would like to add those, go right ahead. 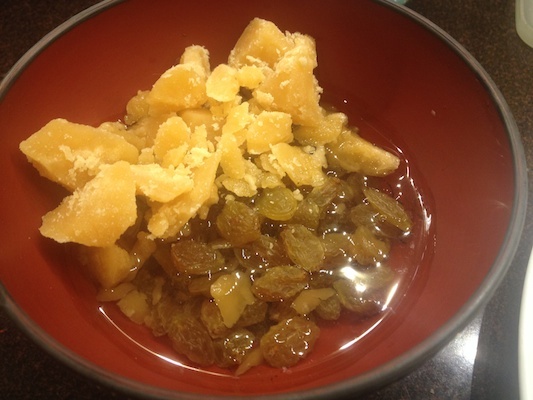 Next, in a small bowl soak the jaggery and raisins with the vinegar. If you don’t have jaggery at home, you can always just use sugar as well so don’t stress! Now would also be a good time to stone and chop the dates. Once all of this is prepped, apply salt to the vegetables and deep fry them all one after the other – everything except the green peas. You want them to get a lightly golden colour after which you can drain out the oil in a colander. The reason we fry all the vegetables is so that they don’t turn into mush and retain their form when we make the ‘istoo’. 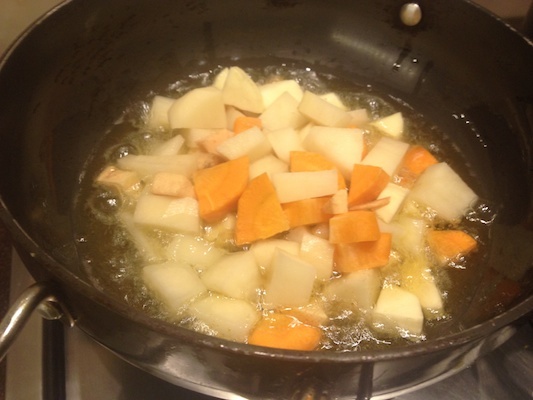 Now, in a saucepan add some oil and the ginger-garlic paste. Add in all the spices, the salt and the jaggery. 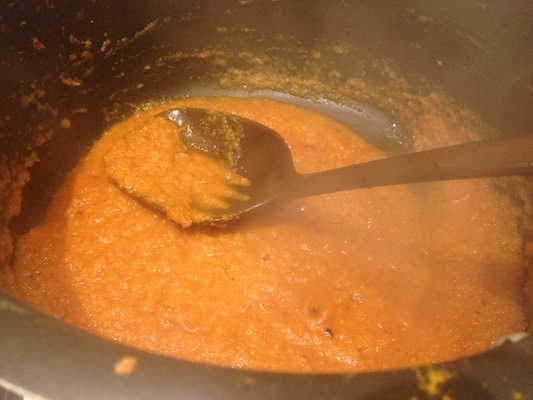 Once the jaggery has melted, add in the onion-tomato paste. Let this all fry for 3 – 5 minutes. 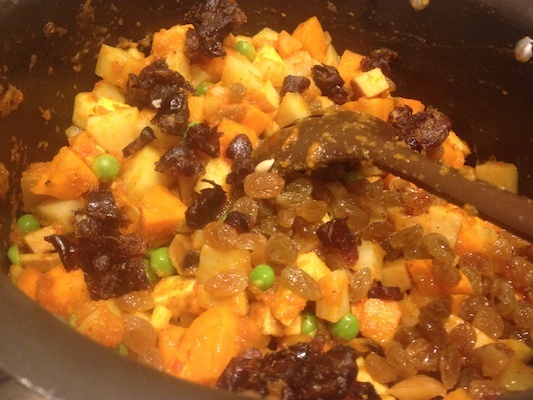 Add in all the fried vegetables along with the green peas, the soaked dates, raisins and the vinegar. 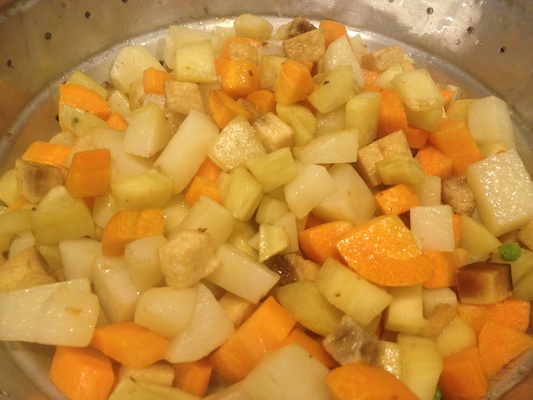 Stir back and forth till the vegetables have absorbed all the flavour. Cover and let it simmer on low heat for 20 minutes. Since the dish doesn’t have any liquid in it, I recommend that you cover the saucepan and add 1/2 cup water on the lid. This will create steam and enable to vegetables to cook faster. 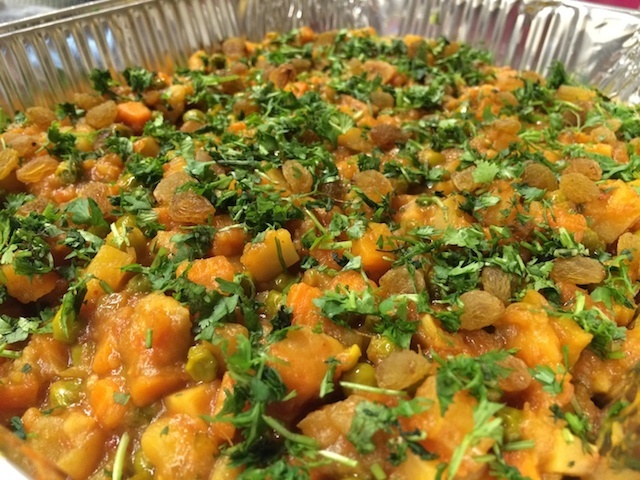 Top with finely chopped coriander and some more raisins.